A very comfortable and quiet helmet. MUCH quieter than my Arai ChaserV! I had tried on three or four C3 Pro helmets at shows and at a dealership who would not offer any discounts. I originally ordered an XL from SBS and despite my earlier fittings I had to return it for a larger size. It was still a bit snug when first trying it on, but I wore it around the house for a few days in 20-30 minute sessions and found that it soon eased and is now a very good fit. Just something to note for other buyers...make sure you check the pinlock is properly fitted in the helmet when you buy it. Mine was loose and I didn't notice this during the indoor 'easing in' period which resulted in some rub marks on the interior of the visor. Once noticed it was easy to adjust the tension and get a good fit, but I though this might have been done by Schuberth as part of their quality control. Excellent service by SBS throughout as usual. Having previously had a full face Shoei helmet a friend recommended that I try a flip up Schubert and I am very glad that I did. The quality is outstanding, no problems with misting or excessive noise, the flip up system is very user friendly and I really like the understated colour combination. I purchased a C3Pro a couple of years ago now after trying numerous different helmets. Nothing seemed to fit my head shape well, but the c3pro is perfect. Sportsbikeshop we're offering the echo green version with around £150 discount so I had to snap up another. This is the best piece of motorcycle gear I've bought in the last 10 years. It's not the flashiest - understated and classy - bit like the wearer. It felt quite tight across the forehead when first put on but is very comfortable, I regularly do a 3hr trip in mine and no problems. Unlike previous helmets that have ended up so uncomfortable across the forehead I've had to stop and take them off to relieve the pressure. Took me a little while to get used to having the sun visor mechanism on the chin bar rather than up on the visor but up to speed now. I have had some misting issue in torrential rain but in all other conditions works very well. Vents are simple to use in winter gloves. It is considerably quieter than my old helmet (Shark) but I still use earplugs for long journeys. It is also stable at speed, although I too like another reviewer notice a slight whistle when my head is turned to the side at speed, but as I ride looking forwards the majority of the time this is not an issue. One thing I've found you can't do is ride with the chin bar flipped up at any sort of speed (over 30/40mph) as it catches the wind and tugs your head back. Having said that it's fine for round town on a hot day, and means you don't have to take it off at petrol stations. Also means you can sneeze and not coat the inside of your chin bar and visor in phlegm. I like the ratchet closure on the chin strap it's less fiddly than a double d-ring system. Sizing was as expected, measured up and ordered according to their size guide. I haven't used the comms system so can't comment on that but have used standard earbuds from my phone for sat-nav instructions. It being a quiet helmet means that this works and you can hear the instructions. In conclusion this is a very good product but there are others out there too I'm not going to say it's the best helmet ever as I've not tried them all but I would buy another one. 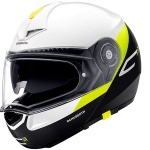 This is my second Schuberth C3. Firstly, the build quality is second to none, visor mechanism and fitting is so easy. Venting and cooling is exemplary, noise levels are very low. The sun shield is superb. Hi, I bought this helmet with great expectations but I don't think it's worth for the money I paid. It's not as quiet as being advertised. Too tight sizing and the antifog insert which comes with it, already failed after a year of use. It's a lightweight helmet but there is no way it's worth £450 (that's what I paid for). I don't notice it being quieter the my previous Shoei XR1100 but my glasses don't mist up hardly at all and the flip down sunvisor is really useful. I like the strap buckle and the quality seems as good as my previous Shoei. I've used the C3 for the last 12 years and decided to upgrade to the C3 Pro.....and I am not disappointed. If, like me, you're concerned about spending your hard-earned cash fear not. The product description and reviews for the Schuberth C3Pro, along with the fantastic offer price convinced me to invest in this superb piece of kit. From the first time I used it to date it has proven to be an excellent investment in both my safety and my hearing. The quietness is superb, the fit is excellent, the features are both practical and efficient - no gimmicks just all functional with excellent airflow to keep me cool and fresh. Easy to use (even with thick winter gloves!) slider for the drop down sun visor. Time will tell on build quality. 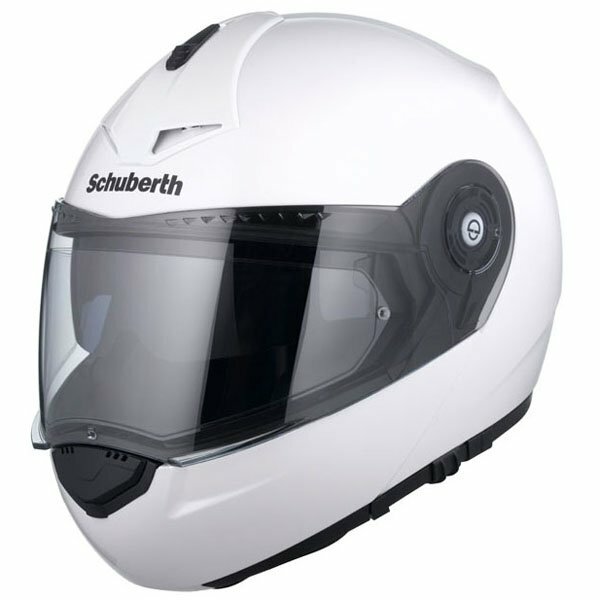 My only reservation is for the matt finish as opposed to a gloss one BUT with Schuberth's 5 year warranty as standard some piece of mind is also provided here. As always, fantastic customer service from Sportsbikeshop - ordered on the Saturday and delivered on the Sunday of a bank holiday too! I was very disappointed with the build quality of my previous Schuberth C3, with interior plastic clips/material coming lose!. I will be very interested to see if this v.expensive lid is up to the normal expectations of a German manufactured product. Time & use will tell?. Once again, very good service from SPORTSBIKESHOP. I have always wanted a Schuberth helmet and finally I have one. What a superb bit of kit. I lived up to my dreams. Quiet, comfy, perfect fit, drop down sun visor, superb air flow and looks superb. Fit and finish top quality, comms perfect and slick. Fit is snug and comfy. Previous Neotec owner and while both are brilliant the Schuberth edges it. Very quiet product, really up to my hopes. In addition it totally matches with the green of my motorcycle. A real pleasure when driving.